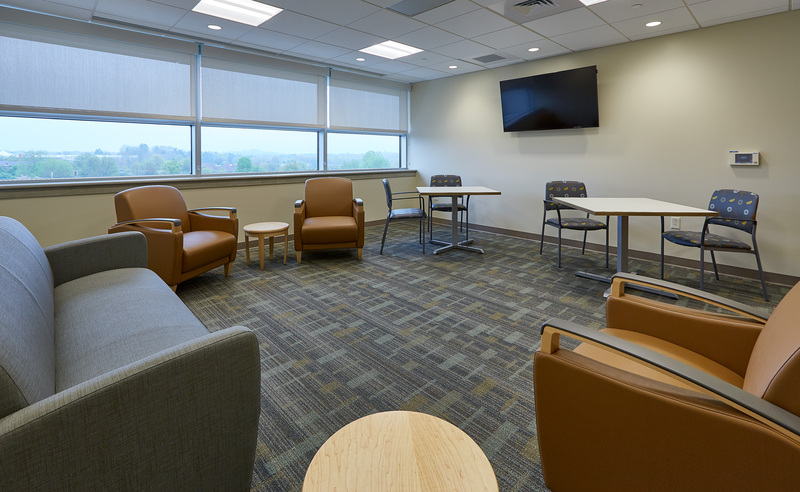 UPMC Pinnacle Community Osteopathic Fifth Floor Fit Out - Benchmark Construction Company, Inc.
With the hospital consistently near capacity, Benchmark was called upon to handle the work of fitting out the 5th floor shell space. Two months into the project, the owner requested that the project schedule be reduced from nine months to seven. After conducting a planning workshop, Benchmark was able to align with the new end date and completed the project with a minimal punch list. 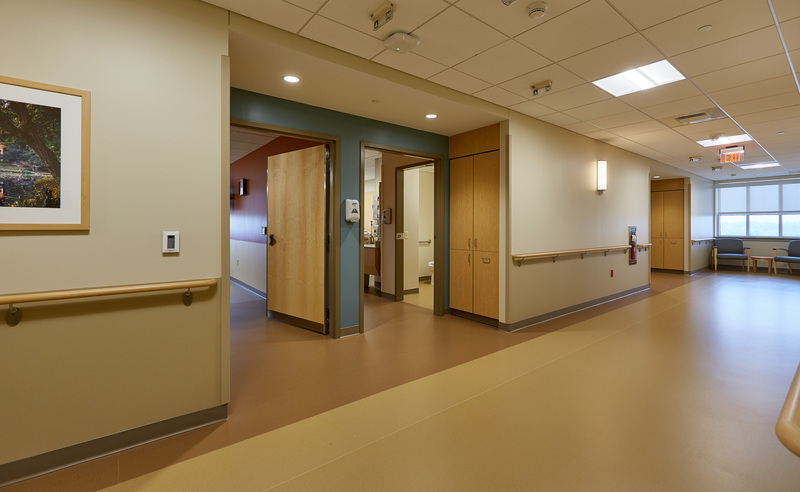 The new space includes 30 patient rooms and two bariatric rooms. 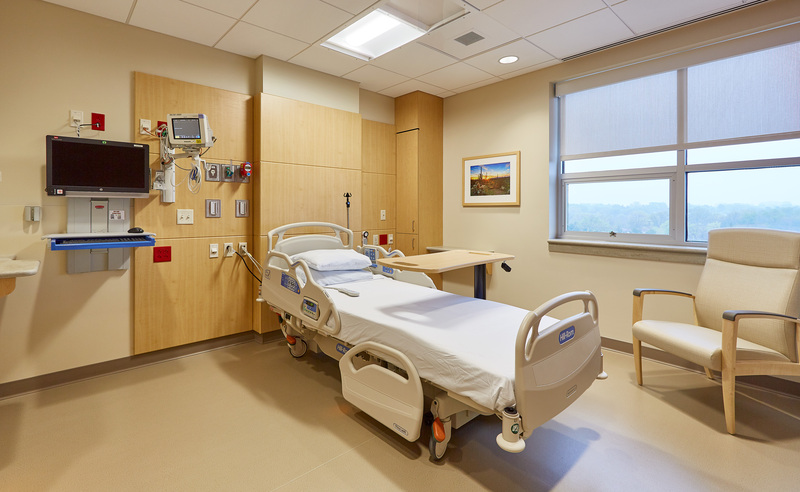 The rooms were fit-out with custom head wall units and state-of-the-art patient monitoring. 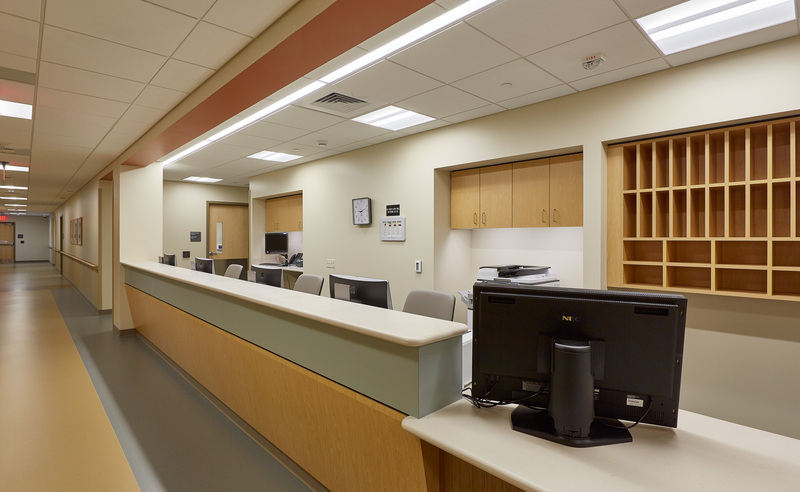 Two nurses’ stations were equipped with med rooms in a layout to maximize patient care as well as ancillary spaces. Working above four occupied floors made getting materials to the work site very difficult so a material lift was utilized at the hospital’s main entrance.